The origin of giving gifts at Christmas is rooted in the birth of Christ. In the context of the time Mary was to give birth to a king. So it would only be expected that the three wise men would bring gifts befitting a king. 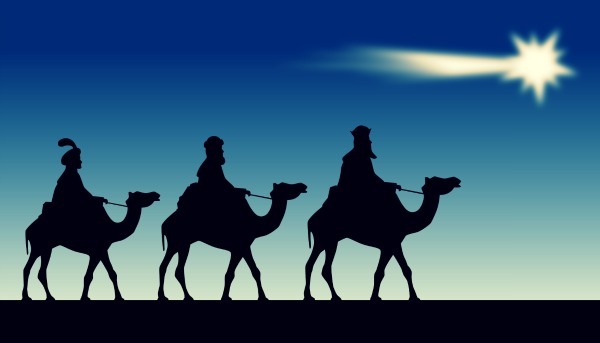 Gold, frankincense and myrrh, in ancient times were highly prized commodities. Myrrh being commonly used as an anointing oil, frankincense as a perfume, and gold as a valuable metal made the giving of these three gifts a spiritual meaning of; gold as a symbol of kingship on earth, frankincense as a symbol of deity, and myrrh as a symbol of death. Somehow through the commercialization of Christmas we have lost the real meaning of giving. It is not about how much money you spend or how the big the gift. It is about giving for the sake of giving; sacrificing for the sake of sacrifice. The real reason we give gifts at Christmas is to remind us that birth and death are two ends of the life spectrum. What we give in-between is a mark of the value we place on life. Here are some free gifts worth giving. These won’t cost you a cent, but they will bring joy and good will. To your enemy give forgiveness, to an opponent give tolerance, to a friend give a helping hand, to those you love give an open heart, to a customer give good service, be charitable and give your time, to every child give a good example of what it means to give unselfishly and to yourself give respect. These are gifts that come from the heart. Think what would happen if we gave these gifts, not just at Christmas, but all year round? We would then experience the true meaning of Christmas, which is to make the world a better place for all of humankind and in this we all thrive. The basic nature of energy is the potential to create or destroy. It is void of judgment and so can move in any direction. However, how we harness this energy and use it determines the outcome. We can choose stability and balance over anguish, fear and pain. When we learn to direct energy we become the masters of our lives. No matter how chaotic life may be we come back to the present moment and it is here that we find our grounding and our strength. However, it is important to remember that this process is work and will not come without a lot of conscious effort. The paradox is that although the process takes tremendous strength and endurance coming back to the present moment brings us to a place of stillness and serenity. Let’s begin to work on our balance, flexibility, strength and ability to be present here and now as we discover moment of stillness, quietude and serenity. Along the pathway of life there will be many temptations. The greatest temptation of all will be to let yourself be guided by your ego. It is the ego that finds it hard to forgive and believes it can justify anything including violence. The basic nature of life is potential energy with the ability to create or destroy. Harness and master this energy and you will become the master of your destiny. Choose always the highest potential of your being; be gentle and, kind and in this you will always be grounded and strong. Always from chaos comes the opportunity for growth and higher states of being. The chaos of life will always be whirling around us. It will challenge our sense of balance, our strength and our peace of mind. We must decide to either walk our soulful path or let the chaos of life sweep us into frenzy. Just realize that you always have the power to choose. The basic nature of cosmic energy is chaos with the potential to create or destroy. It is void of judgement and so can move in either direction. Choose stability and balance over anguish, fear and pain. Discovering and harnessing the energy of consciousness awareness we are empowered to continually create anew. No matter how chaotic life may be we can come back to the present moment and here we have the power to establish our balance and strength. However, it is important to remember that this process is work and will not come without a lot of effort. The paradox is that although the process takes tremendous strength and endurance, when living it we find peace and tranquility. Along the pathway of life there will be many temptations. The greatest temptation of all will be that of the ego. It is the ego that thinks it can justify anything and everything; even violence. Releasing the ego (diversity) and embracing the cosmos (unity) is soul walking. Try to let go of negative feelings. Try not to feel anything accept using the strength of your body and the strength of your mind to connect with the consciousness of your soul. That is where your virtues lie and your vices can be extinguished.